There is actually a lot of parking very near the food store. 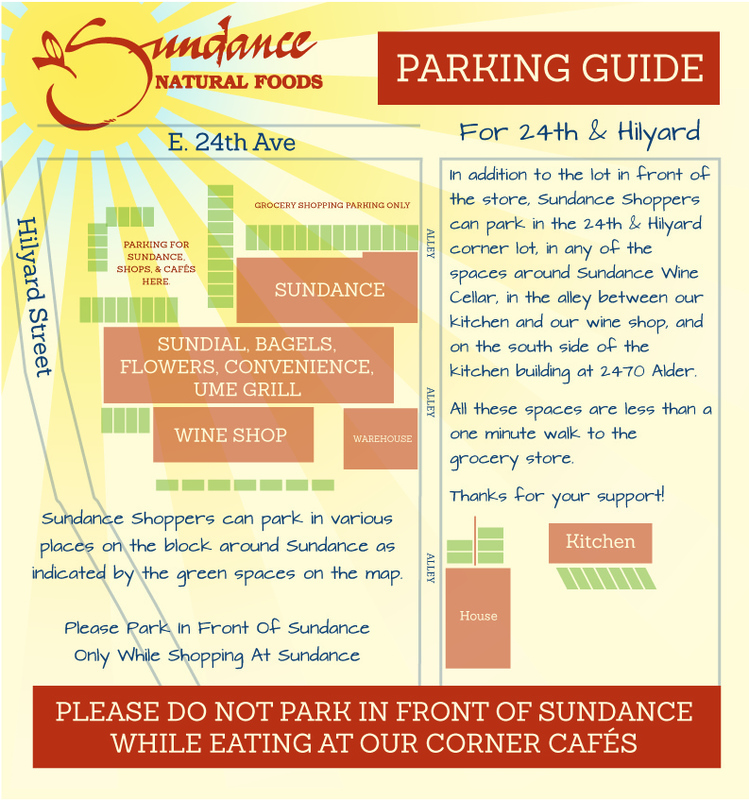 We have many spaces on our block owned by Sundance that are less than a one minute walk from the front door. Here is a map of the nearby parking Sundance customers can use if the front lot is full. Our staff are always happy to help you carry your groceries to wherever you parked!